Fluorite is also called fluorspar. The stone occurs in nature in many colors, caused by the different trace elements that it can contain. Fluorite is very suitable in these days because it cleans and protects from electromagnetic radiation. Fluorite also promotes concentration. Information: Power bracelets consist of small spherical crystals strung together on a piece of elastic thread, which can then be worn on the wrist. The qualities of the particular crystal used will then influence you as you go about your life. 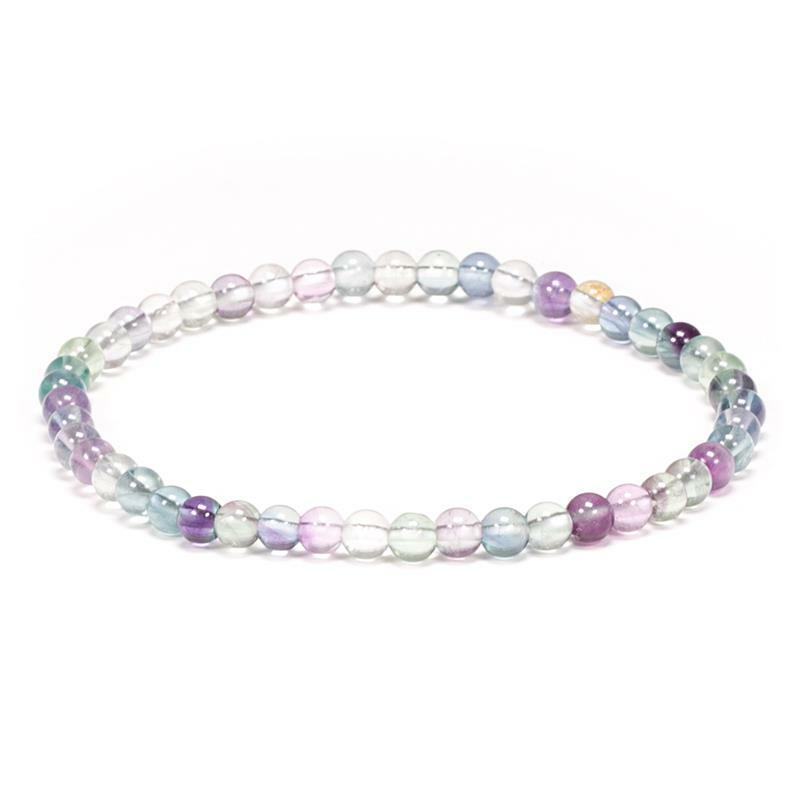 By wearing a particular bracelet, you are inviting the energy of that particular crystal into your life. We say: These bracelets are made from real crystals - not imitations.